The best of Central America offers beaches, jungles, active volcanoes, cloud forests and warm, friendly people! Call 1-800-422-3727 Today to Reserve! One of the most popular destinations in Central America for good reason - their hospitality is unsurpassed, and their natural resources are unrivaled. You can hike through a rainforest, unwind in a hot springs spa, see a volcano, scuba dive, whitewater raft, or just relax on a beach. All in the same country! Costa Rica is home to more the 5% of the world's biodiversity: over 800 species of birds, over 200 species of mammals and thousands of butterfly species. 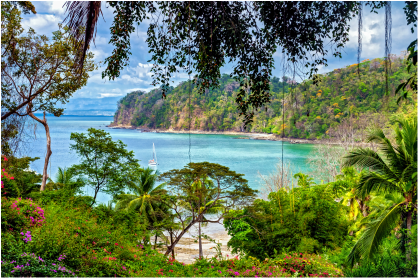 Costa Rica's Green season (rainy season) is May to November. many hotels offer special pricing during this season. Choose a day here, 2 days there and experience the best that Costa Rica has to offer. At the Occidental Grand Papagayo, you'll sample every indulgence that a luxury holiday should offer while absorbing the breathtaking natural beauty of Costa Rica's Northern Pacific Coast, where lush tropical forests and volcanic cliffs descend into sand beaches and crystalline coves that are home to wild parrots, monkeys and sea turtles. Best Western Irazu This full-service San Jose, Costa Rica hotel provides comfortable accommodations, superb customer service and a centralized location, all for a great value. Located in the Central region of downtown San Jose, Costa Rica. It is near major attractions and only 15 minutes away from San Jose International Airport (SJO) and convenient to travel outside of the city. Breakfast daily is included. Price shown is for a 3-night stay per person based on double occupancy. Taxes are included. The oceanfront Riu Guanacaste resort is located in the beautiful region of Guanacaste, on Costa Rica's Pacific coast. In addition to a superb range of leisure options, the hotel offers five modern, fully-equipped conference rooms and fine restaurants. All 701 guestrooms are feature modern amenities as well as a balcony or terrace. Ask about confirmed air options, car rentals and transfers. Price shown is per person based on double occupancy. The Doubletree Resort by Hilton Central Pacific is a modern, full-amenity, all-inclusive resort hotel perfectly situated along a beautiful beach outside the port city of Puntarenas. Ask about confirmed air options, car rentals and transfers. Price shown is per person based on double occupancy. Travel by bus and long boat to the canals of Tortuguero. 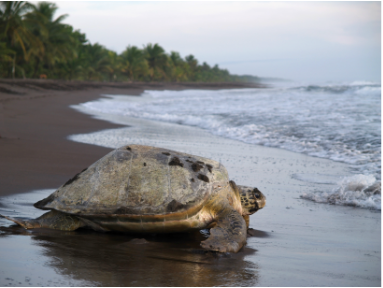 Spend 1, 2 or 3 nights exploring the canals, hiking and (in season) watching the nesting sea turtles. We recommend a 2 night stay. 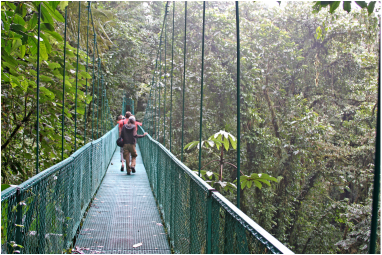 Monteverde is a Quaker colony high in the lush cloud forests of Costa Rica. The drive up the mountain with panoramic views of the Gulf of Nicoya and the Pacific is worth the trip alone. This is a great spot to take a canopy tour over the forest. We recommend a 1or 2 night stay. The home to the active Arenal Volcano and the Tabacon Thermal Springs. 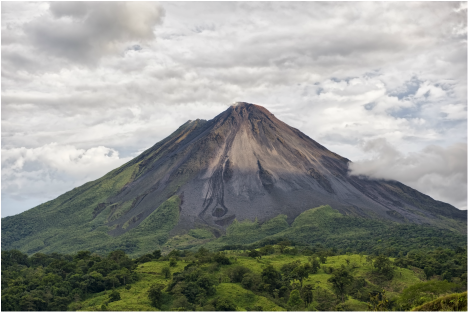 The 2-hour drive from San Jose winds through lush green mountains and tropical plant farms to reach La Fortuna at the base of the Arenal Volcano. On a clear night, you can see the sparks fly off the mountain. We recommend a 1 or 2 night stay. 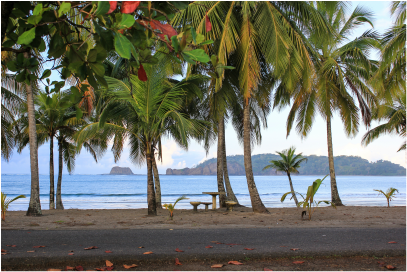 Jaco is a short 2-hour drive from San Jose, on the Gulf of Nicoya and the perfect base to visit Manuel Antonio Nature Reserve and the black sand beaches. This is a relaxing and active destination. We recommend a 3 to 7 night stay. The Costa Rica experience is a coast to coast adventure. 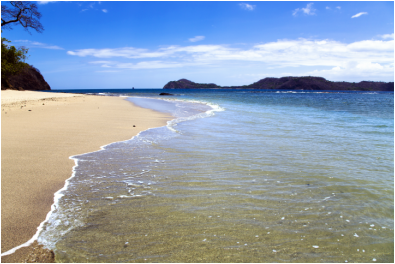 From the Rainforest of Braulio Carrillo to the wide sandy beaches of Guanacaste and everything in between. In 9 days, you'll hit the highlights and experience the warm hospitality of the Tico. This is a fully escorted tour that includes all meals and is a real value. This eclectic country offers both a modern city experience busy with activity, and tranquil resort areas inviting endless relaxation. Panama is a confluence, a relaxed Caribbean vibe to the north and an ocean retreat to the south. This small tropical republic with 2 long coasts makes one wonderful destination. 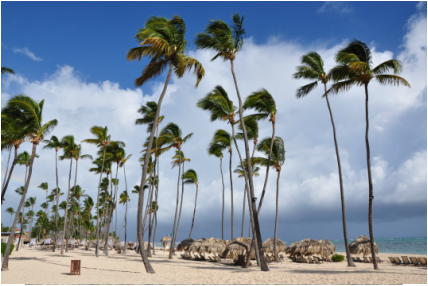 With hotels and resorts in Panama City, Playa Bonita and Playa Blanca, let us plan an itinerary for you or see the Panama Canal, Rainforests and Beaches on an escorted tour. This tour is all inclusive with all meals and activities with 8 wonderful days in fun vibrant Panama. Enjoy two daytime cruises on the canal, one through the two western locks, and the second, a small boat ride out into remote Gatun Lake to visit Monkey Island and an Embera Indian village. This tour presents not only the best of the canal, but showcases the urban and natural wonders of Panama. Your hotels include the world famous Gamboa Rainforest Resort, the delightful Westin Playa Bonita Resort, and the unforgettable Intercontinental Miramar Panama, in downtown Panama City. Guatemala is a breathtaking land of magnificent lakes, towering volcanoes and ancient ruins and this is a great opportunity to take it all in at a great price. Fully escorted, includes all meals. Adventure entices at every turn, from cultural encounters at ancient Maya temples to diving and snorkeling translucent waters off tropical beaches to fascinating hikes in subterranean caves. This is a snorkeling and diving paradise! We offer resort accommodations in Belize City and Ambergris Caye and confirmed flights from the US and Cana. Let's talk about your options. Our most exclusive interline travel deals delivered to your inbox.